Collaboration is key. To most organisations, in fact, it is a significant source of comparative advantage. As such, the number of meetings—opportunities to share concerns, plan strategies, prioritise focuses, coordinate responses and track progress toward goals—is on the rise. 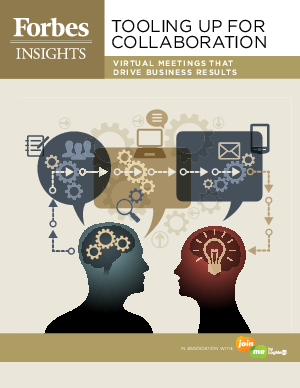 This report shows the main findings and predictions for the future of workplace collaboration and how companies can find real value in bringing the workforce together with meeting tools. Download this paper now to find out companies can optimise the effectiveness of their virtual meetings.